Everyone has their own acid test to identify a�?nicea�� people. For folks of my generation, it was Calvin & Hobbes. Declaration of fandom invariably earned you brownies and a 10-year visa to the United States of friendship. Back in the 80s, Pac-Man did the job of Calvin & Hobbes. A simple interest in the computer game earned you instant respect from fellow slackers. A quick discussion on high scores and levels of proficiency would ensue, followed by a mating call for a face-off. 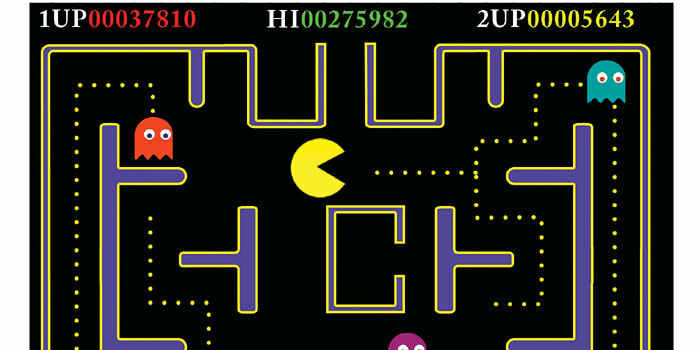 The concept of gobbling dots in a maze while outrunning silly ghosts may look juvenile today, but in the era of the 386 (Pentiuma��s grandpa), it was as addictive as weed for millions of bored gamers. But not many know that Pac-Man was Japanese in origin. Designed by Toru Iwatani in 1980, he labelled it a�?Pakkumana�� after the onomatopoeic a�?pakku-pakkua�� chomping sound made by the lead character. He tried to anglicise it as a�?Puckmana�� for the overseas markets, but the possible confusion with a much censored four-letter word, veered the gaming company towards Pac-Man.Tetris was another fixation for those who swapped office time for private pleasure. Steven Wozniak, co-founder of Apple, was a champ at it. Derived from Tetraminoes (the four-square blocks) and tennis (founder Alexey Pajitnova��s favourite sport), the falling blocks puzzle is now the worlda��s most successful game, having sold 150 million copies over 30 years. Mortal Kombat was a universal favourite with those who liked violence. Planned as a gaming version of Jean Claude Van Damme movie Blood Sport, MK became a bigger brand within a few years of its launch. Single-player shooter games Wolfenstein 3D (German for Wolfstone) and Doom (name borrowed from a Tom Cruise dialogue in The Color of Money) gave us wussies the jollies of playing a rampaging hero in the virtual world. The goofballs who didna��t fit into any of the above slots sat in a lonesome corner plodding over Solitaire. But whether one played Prince of Persia or PC Pool, the fact remains that therea��s nothing to beat the old charm of nostalgia.